Baklava is a dessert made from filo pastry and sweetened with syrup and enriches the Turkish cuisine. It is made from natural and fresh ingredients. 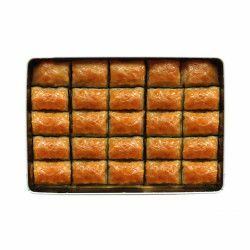 The crunchiness of one bite of Baklava, its mild flavour melted in the mouth, the smell of creamy butter and the texture of the syrup create a great sensation. 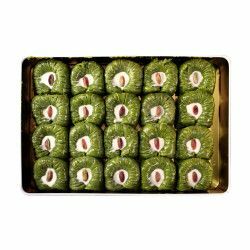 So you can offer the Pistachio Sultan Baklava in your very special days like Bayrams. The Walnut Sultan Baklava is very famous in the world and one of the most irresistible desserts. It is confirmed that Baklava was known in the Central Asia and was entered the Turkish cuisine from that origin. It started to be known in the Ottoman Royal cuisine in the 17th century. At the end of that century Baklava festival was set to become one of the most irreplaceable ceremonies in the Empire. It was offered to the rich and upper class members at that period. Baklava is growing in popularity. And besides, it was registered as the first Turkish product in 2003. 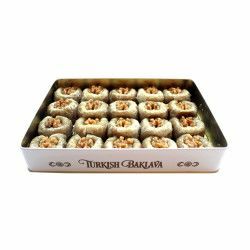 The word Baklava is Turkish in origin and its birthplace is Gaziantep. Baklava tempts different palates of different people and the Walnut Sultan Baklava is very common in the central region of Anatolia. How does it taste and what are its benefits? The name of dessert Baklava comes from its initiative content, its nature and its production process. 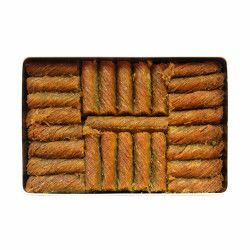 The flavour of Baklava derived from its numerous contents. It is made from flour, amylum, baking powder, sugar, eggs, yogurt, vinegar, oil, butter, and walnuts. 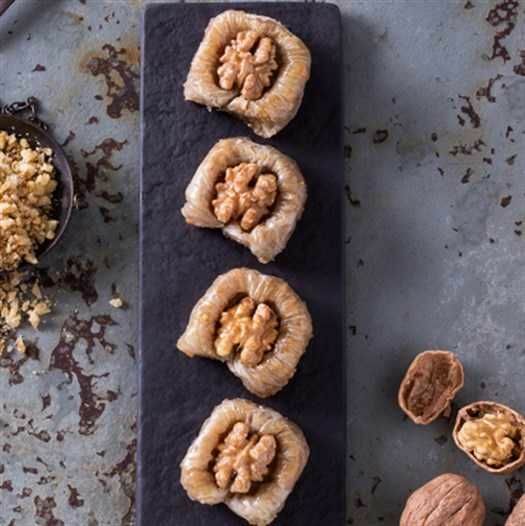 The walnuts are very rich in vitamins and minerals and that’s why the Walnut Sultan Baklava is considered as a healthy dessert for your heart. What does determine its quality? The baklava is filled with the smell of the walnuts originated in Central Anatolia. The texture and the quality of its syrup determine its flavour. The syrup should not be so sweety or so sour. 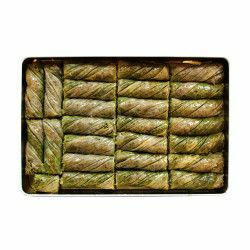 One of the important points in making Baklava is to make the layers so thin in order to make the dessert melts in the mouth. 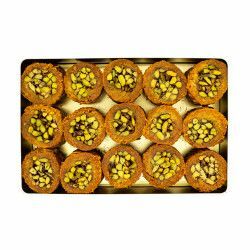 Baklava is preferred and tempted the palate of people in the whole world. Our Baklava is made from the best and fresh ingredients. It is made by the most famous and dexterous chefs. Our production devision has the most technologically modern equipments which meet the international standards of Hygiene. The Baklava: First, we make the mixture of flour, egg, yogurt, vinegar, oil, and butter. Then, we knead the dough, cut it up to small balls and wait for it to rise. Then, we dust the amylum and baking powder on the balls. We flatten the parsty balls by the rolling pin to form the tray-sized thin layers of the pastry. 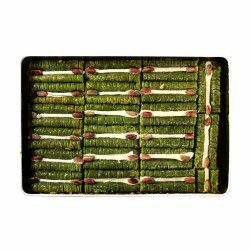 We sprinkle ground walnuts on each layer, roll it and get it spliced. 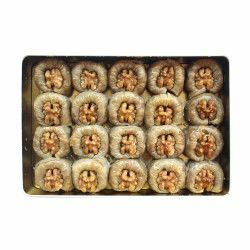 We garnish the Baklava pieces with walnuts and put them on the baking tray. And we pour the melted butter on it. Then, we bake it in a hot oven on 180 degrees until the colour is golden, so we remove it from oven to add the syrup and then let it rest for 12 hours. The syrup: we boil a mix of 5 glasses of water and 4 glasses of sugar for 15 minutes then we add a few drops of lemon juice and boil it for more 1-2 minutes. We pour the syrup on the Baklava after removing it from the oven. It will be ready to be served after percolating the syrup into it. What are the production steps of it? 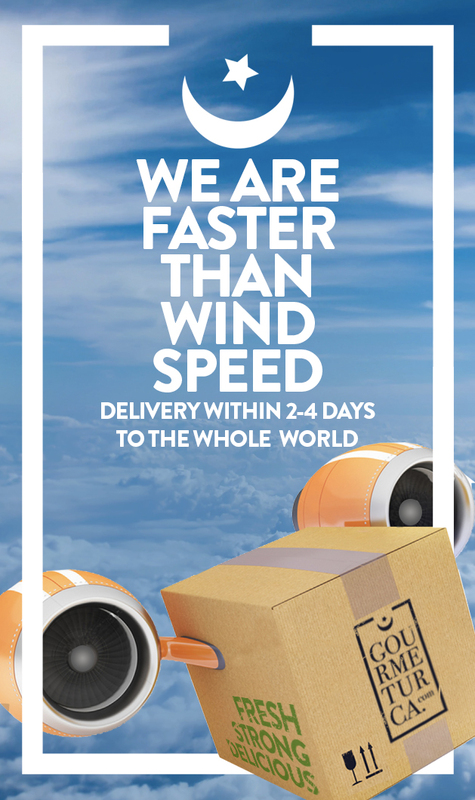 Both the traditional and the technological methods are used in the making process in our company which is well equipped to balance the level of water, air and the dampness and to meet the international standards of hygiene and quality. After determining the amount of flour under computer-aided control, it is shaked in a double sifter and kneaded in very special machines. Then, it is flattened by the dough sheeter machines to a 5 mm thickness and then it is flattened by the rolling pins used by the chefs to a 5 micron thickness. Finally, it is shaped according to the sort of Baklava and baked in a hot oven. 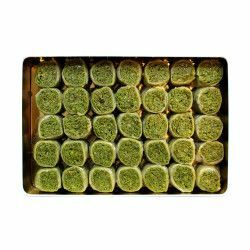 What are the shelf life and the storage conditions of Baklava? 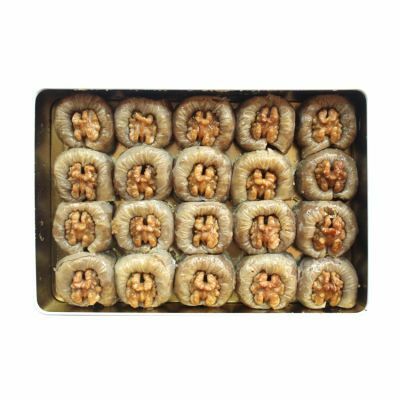 The shelf life of Baklava is 15 days as long as you keep it in a cool and dry place. 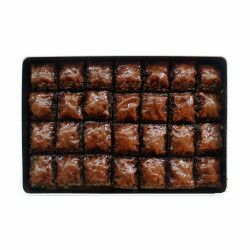 We pack Baklava in a metal box, after vacuuming it in a very secure way.